At Mitton Group, we are committed to the concept of apprenticeships as the responsible and intelligent way forward for our industry, bringing new people into the M&E business and ensuring they receive the best training on their road to qualification. Most of our very best engineers and many of our directors chose this route and have played an important role in growing the Mitton name and reputation over the years. 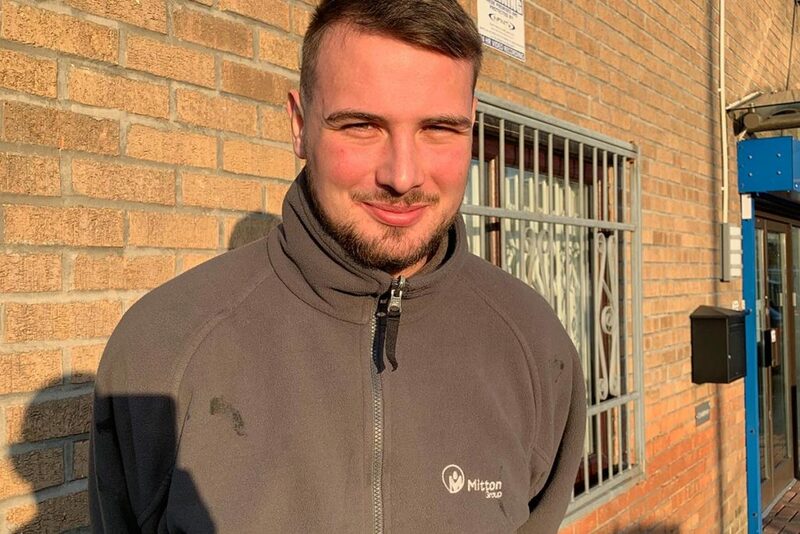 Here, one of our current apprentices, Harrison Whittaker, discusses why he became part of the Mitton Group family and what the apprenticeship opportunity has brought to him. “I always wanted to have a trade. My Grandad was an electrician and my Dad a joiner, so it’s in the blood, I think. I went to Bradford College first and studied plumbing for two years, so I had a very good idea of what was involved in the job. One of my friends was a first year apprentice with Mitton Group and I knew I would get a very solid and reliable grounding in all aspects of the plumbing trade with the company, so I emailed with my CV, and two years later, here I am – with two years of experience as a bona fide apprentice behind me and some of the best training in the industry under my belt! My first six weeks with the company took the shape of an induction to the business and to the job, with an introduction to other important elements like leadership skills, giving me the confidence to move forward. The combination of on-the-job learning and college-based education is very valuable, and an apprenticeship with Mitton means I had the opportunity to work closely with my mentor, seeing exactly how different jobs are done by the people who have been doing them for many years. Being able to ask all the questions and get detailed, relevant answers was very important to me. Harrison says he enjoys the work very much. Mitton’s national coverage across the UK and diversity of projects has given him vital experience, working in different geographical areas and testing his skills, learning all the time. And he still has the opportunity to follow Bradford Park Avenue Football Club as well as playing both cricket and football!